Berlin’s public transport is a carefully scheduled endeavor which would run like a Swiss clockwork if it was working perfectly, which it is not. Complicated things are hard to control. Besides, this city’s transport is aging. Deutsche Bahn (DB) runs the S-Bahn, a fast city train system with 9 lines. In the past years, big technical glitches, outages and long lasting construction projects have put the Berliners’ patience to the test. The rest of it, meaning the U-Bahn (subway, underground, metro, you name it), the bus lines, trams and ferries belong to Berliner Verkehrsbetriebe (BVG). Both DB and the BVG are state-owned. It’s not like the BVG does not ever create a chaos. In fact, they are very good at it with their rather old trains, their delays and their personnel shortage. There is nothing better than waiting 32 minutes for the M41 bus in the chilly winter wind, even though it was supposed to show within 6 minutes. Waiting for the U-Bahn at Jannowitzbrücke station is just as great, when two consecutive trains are just not showing and the platform is filling up fast. 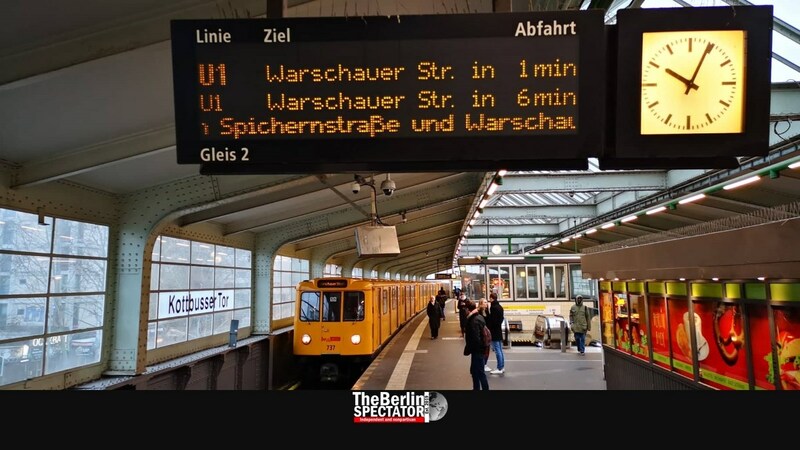 Entering certain U-Bahn stations on the U7 and U8 lines is a lasting experience too. At Boddinstrasse station, dozens of individuals usually stand around a bench at 7 a.m., holding half-empty beer bottles and smoking, even though both drinking and smoking is forbidden. They share their life stories and have a good laugh now and then, while tired looking people around them are on their way to work. The BVG’S chairlady Sigrid Nikutta has big improvement plans. She knows it will take longer than five minutes to resolve all issues. This is something she has to explain to the passengers. 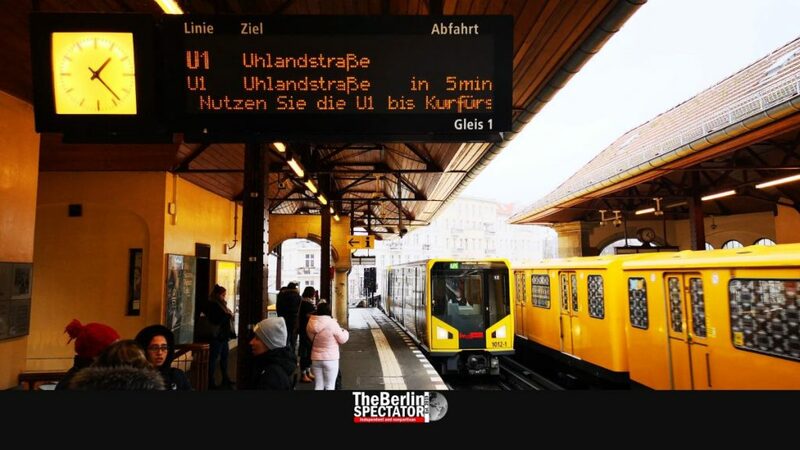 In order to make the BVG more likable, they recently ran a cool advertising campaign which involved a lot of humor. The message they brought across was “We are imperfect, like everyone else in Berlin, but we are good people.” Yes, and yes. They are. And they earned some tolerance through that campaign of theirs. Still, big questions remain: Will ‘Supergirl’ and her team manage to turn the likable chaos into something which actually works well? Will she modernize the BVG before even the modernization seems old? And will improvements kick in before the U-Bahn system collapses? On Wednesday of last week, Sigrid Nikutta took an unconventional step. Her solution is depletion. Since there were regular delays on the lines U6, U7 and U9, she decreased the frequency. Starting today, U-Bahn trains on these lines will arrive at the stations every five minutes, instead of every four and a half minutes. What may sound like a ridiculous 30-second difference not worth talking about, at first glance, is actually a big step. Yes, passengers will have to wait for their U-Bahn 30 seconds longer, but they might experience less big delays. That is because this way the BVG will have more trains available in reserve which they can use in case one of the trains in service breaks down. Another advantage of this approach might be the assumption that the trains in service will be more punctual because there will be less pressure on the still relatively tight schedule. Delivering more by offering less? This seems to be the Berlin approach. Stability was the most important aspect, Nikutta recently told the RBB, a division of the nationwide TV and radio network ARD. 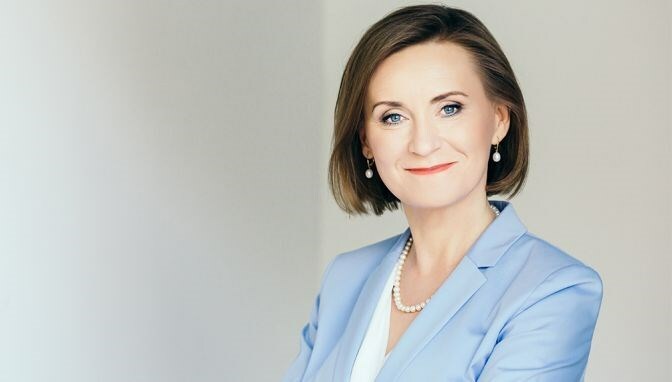 Sigrid Nikutta also wants to go on a big shopping spree for new U-Bahn trains. The goal is to replace most of the existing 1320 wagons. The first brand new trains are already in service on the U1 line between Uhlandstrasse and Warschauer Strasse and on the U2. They look very futuristic and they do seem to work well. The only problem is that they cost money. Replacing the old trains, many of which have been racing back and forth under and above the streets of Berlin for 30 to 60 years, will take time. In the mid-2020s Berliners might start noticing that things are happening. But in order to achieve real improvement, more mechanics will have to be employed and more service stations will have to be created. Making the buses network more reliable and attractive is another goal Mrs. Nikutta has. It is great to have almost 1500 buses all over Berlin. But the more they get stuck in the increasing Berlin traffic, the more passengers will be disgruntled. New ways to speed them up need to be found. Sure, Berlin does have bus lanes. But they are being shared with taxis and cyclists. Also too many delivery trucks and other vehicles abuse them as parking spots. The traffic concept for the buses urgently needs improvement. Any new concept might include protecting the bus lanes more and giving buses priority at traffic lights, meaning those should jump to green and make everyone else stop once a bus approaches the intersection. 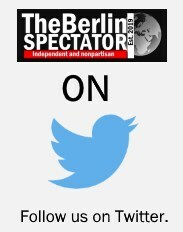 The Berlin Spectator: Read the whole thing. Another aspect is the personnel. The BVG does not have enough drivers and mechanics. Now they are coming up with a brilliant idea. After thinking about it really hard, they will employ people. Genius! Who would have thought of that? This year alone, as many as 1000 new people will be hired. Oh yes, even more changes are in the works. Buses with Diesel engines are supposed to vanish from the streets. From 2030, the BVG intends to purchase electric buses only. For a fleet of that kind, they will need loading stations. Lots of them. And service stations. And, yes, it is good to think about those things beforehand. The BVG is exactly 90 years, one month and four days old. Over the decades, it has grown a lot and changed all the time. Because of the reunification of Germany, the public transport provider doubled its size in 1992, by swallowing the BVB from East Berlin.